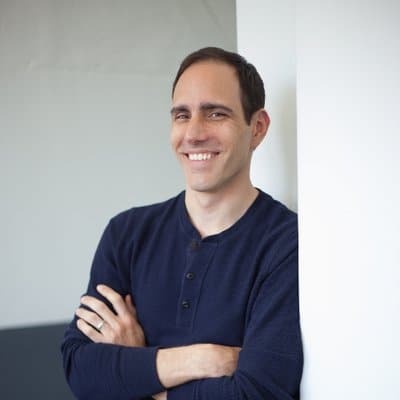 In today’s interview I get to speak with US board-certified internal medicine physician, Dr John Limansky, who shares some easy & his best biohacks that anyone can do (regardless of location or budget) to start improving their health today. John is very passionate about sharing information that can help people improve their health and prevent commonly seen diseases with a root cause in bad nutrition. Not only is he a certified physician, he is an avid n=1 biohacker. 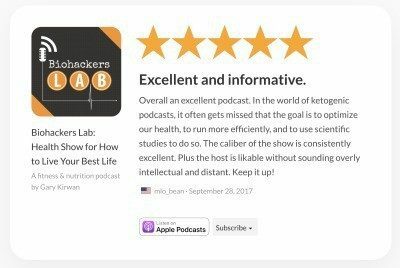 John and his, The KetoHacking MD podcast co-host, Jimmy Moore, share and discuss the results of some of their interesting self-experiments. Special thanks to John for joining me on the show. Enjoy the episode! For more information or to follow Dr John Limansky visit his website Biohack MD or find him on Twitter, Facebook, Instagram or YouTube. [00:19] – Introducing, Dr John Limansky, US board-certified physician of Internal Medicine and co-host of the popular keto podcast, The KetoHacking MD. John feels that most of the common diseases he encounters everyday are a direct result of the typical American diet. [01:10] – John explains how his interest in biohacking started with nutrition and then spread beyond that to biohacking other aspects such as sleep and stress reduction. He used to follow all the recommendations for exercise and a low fat diet but became insulin resistant and pre-diabetic in his early twenties. After doing his own research he discovered the benefits of the low carb and keto diets. [03:38] – Has the focus for medicine changed from treating and managing disease to looking at lifestyle and prevention? John explains why we are not that good in prevention. In the US, diabetes accounts for 50% of the money spent on health care (~245 billion dollars per year on treatment and lost wages). [06:02] – Dr Barry Marshall and Robin Warren who discovered the H.pylori bacteria, were ridiculed at first before the medical community came around and gave them the Nobel Prize for this discovery. John discusses how H.pylori impacts on our stomach lining. [08:04] – The number one biohack to start off with is nutrition. John prefers the low carb high fat (LCHF), ketogenic diet, but for metabolically healthy people it doesn’t have to be extremely ketogenic/low-carb as not all carbs are bad. John recommends people take it in steps by removing refined food with fructose and high-fructose corn syrup first. [10:21] – If cost is not an issue, labs are very important to help direct treatment. The most important labs John recommends include: fasting insulin with C-peptide, fasting glucose, hemoglobin A1C as well as the NMR lipid profile for cholesterol. [12:15] – John has been doing self-experimentation for 12 years or so to try and figure out how all the medical information applies to him. He explains how medical studies are performed and why they don’t always apply to the individual. After teaming up with Jimmy Moore, they decided to get this information out and share the different hacks with the public. [14:25] – John describes their experiments, why they decided on trying them out and some of the interesting results they shared on their podcast. The three experiments were: the seven-day water electrolyte fast (which according to John is one of the most beneficial biohacks we can do), the high protein experiment, and most recently, the 90% fat and 10% protein experiment. What were the main takeaways? [20:14] – People often say high protein diets are very satiating. John explains why this is only in the short-term and that for a more realistic satiety response, he believes people need to also be consuming more fat along with the protein. [24:18] – With the 90% fat diet, is halting weight loss a concern? John explains that calorie wise he was consuming only 1400 calories and clarifies that being in ketosis is not the same as losing weight. For people trying to lose weight, he recommends avoiding a lot of liquid fats as they don’t give you the same feeling of satiety as consuming the fat from meat. [31:22] – What about IV supplementation? John tried glutathione and this was an unpleasant experience. For most people who are looking at affordable and realistic solutions, it is not necessary. In fact there are other ways to provide the same benefits. E.g. extended fasting increases NAD levels, significantly. [43:50] – Meditation can be difficult but it is a free biohack that has great benefits even with just 10 min a day; it can reduce stress, be calming and can be beneficial for mental acuity. [44:44] – We discuss social media and the importance of community and relationships with others for better health. While there are positives to social media, it can also get in the way of real human connection. [48:06] – Another two biohacks John feels strongly about are infrared sauna which has tremendous benefits on mitochondrial level and it is important for brain health, and cold therapy (cold thermogenesis) which activates brown adipose tissue, has benefits for sleep, decreasing cortisol, as well as a positive impact on mitophagy. John explains mitophagy and why it’s important. [50:01] – John prefers the infrared sauna as benefits are greater but in terms of access hot or cold are also beneficial as long as you are consistent (19-20 min, four times a week). John shares his routine and explains why stacking hacks, such as fasting, exercise and sauna for example, improves the outcome exponentially. [52:27] – Taking into account today’s busy lifestyles, John recommends high-intensity training (HIT) exercise that is easy to complete within 30 min. Cryotherapy can also be done cheaply at home using ice baths 30-40 minutes before bed. John’s tip: for a more tolerable experience fill the bath with cold water first, get in the tub and than put the ice in. [55:30] – To follow or contact John, visit his website biohackmd.com, Twitter @johnlimaskymd or Facebook or YouTube where he will be talking about biohacks and how you can do them in a cost-effective matter. I go to your podcast first of all the health podcasts. You have such a variety of interviews and you have a great way of asking the right question, adding in your own knowledge. Thanks from the USA!